That same apple orchard has now been sold to the local carpenter to make a home for his bride—and has become a bone of contention. Who knew that the cider apple that made Joe Johannsen’s family famous during Prohibition—an apple thought to be extinct—would still be growing there? Readers have fallen in love with Corsair’s Cove, its small-town atmosphere and quirky characters. The Reading Café called the Chocolate Shop novellas “swoon-worthy love stories sure to sweeten your life.” The Orchard series simply raises the bar—giving you stories as tasty as a slice of homemade apple pie! 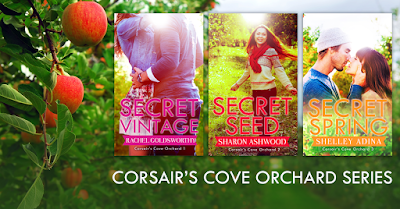 “I never thought I’d see you in Corsair’s Cove again,” said Eloise Wilson as she picked at the cookie crumbs on her plate. Sam’s gaze settled on his sister. She’d chosen the gingerbread cookie with big crystals of sugar on top. It was the same treat she’d always picked, all through childhood. Had two decades actually passed since then? All families had issues, but theirs were extra-special by anyone’s measure. Now they sat in the upstairs bay window of the Zephyr’s Rest Inn, the space just big enough for a tiny table and two chairs. The stage was set, but Sam wasn’t sure of his lines. He raised his head to answer, but instead of meeting Eloise’s eyes, something caught his attention—a flicker of something white. From his seat in the window, he could see down the long hallway with its double row of guest room doors. This place was nearly as old as the town. Sam would have stayed someplace more modern, but rooms were hard to come by in tourist season. So here he was at the Zephyr. Even in daytime there wasn’t much light in the upstairs of the inn. Nothing dispelled the shadows that clung to old places like this. That alone made his skin creep, but sometimes—like now—there was more. The woman saw him looking and waved gloved fingers. Sam looked away, finding sudden interest in his coffee cup. It was never good when the ghosts knew he could see them. They always wanted help with unfinished business—as if being a psychic automatically made him a customer service desk for the dead. “What are you talking about?” he asked gruffly. And that was what made them siblings. Other families went for picnics or took cooking classes together. The Wilson kids saw ghosts. The big difference between them was that Eloise had always owned her gifts, however much that cost her. He was the exact opposite—don’t ask, don’t tell—which was why he avoided this town like the plague. “Six hauntings, huh? I think I’ll be sleeping in my car.” Sam grinned to hide his thundering heart. Rachel Goldsworthy grew up on the West Coast, sitting quietly in the kitchen of one aunt or another and nibbling homemade Nanaimo bars while the relations told tales. Some were factual, and some were true. When the time came to earn a living, Rachel took those listening (and eating) skills, and wrote for magazines and newspapers stories of the people and places of the coast. 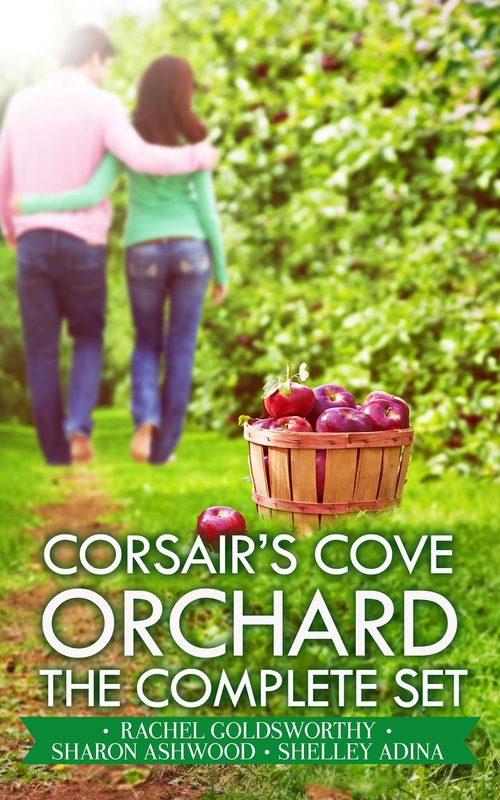 Now she’s writing the adventures of people she’s crazy about in Corsair’s Cove where love and family, like the tide, might ebb and flow, but chocolate is eternal. Every word is true. 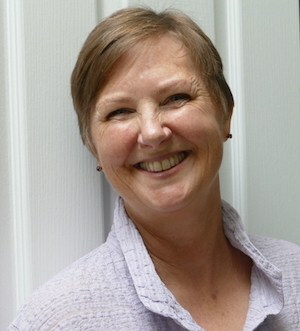 Shelley Adina is the author of 24 novels published by Harlequin, Warner, and Hachette, and a dozen more published by Moonshell Books, Inc., her own independent press. She writes steampunk (including a band of air pirates), contemporary romance, and young adult fiction, and as Adina Senft, writes women’s fiction set among the Amish and other plain communities. She holds an MFA in Writing Popular Fiction from Seton Hill University in Pennsylvania, where she teaches as adjunct faculty. She won the Romance Writers of America RITA Award® for Best Inspirational Novel in 2005, was a finalist in 2006, and in 2009 was a Christy Award finalist. When she’s not writing, Shelley is usually quilting, sewing historical costumes, sneaking another succulent chocolate out of the box of See’s Nuts and Chews, or hanging out in the garden with her flock of rescued chickens. Sharon Ashwood is a novelist, desk jockey and enthusiast for the weird and spooky. And chocolate. And pirates. Chocolate-covered pirates would be a definite plus. 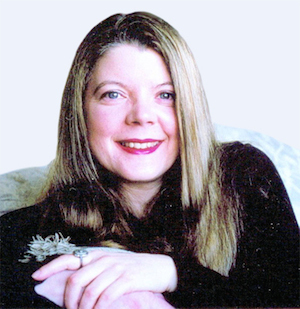 Sharon’s books include urban fantasy, paranormal romance, historical adventures and more. She is the winner of the RITA® Award for Paranormal Romance. She lives in the Pacific Northwest and is owned by the Demon Lord of Kitty Badness.